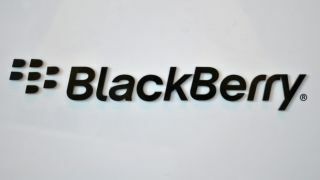 BlackBerry continues quest to secure the "Enterprise of Things"
BlackBerry has told TechRadar Pro its continued transition to a software and services provider continues on course as the company continues to go from strength to strength. Speaking to us at the recent MWC 2019 event in Barcelona, Alex Thurber, SVP and GM of BlackBerry’s mobility solutions division, said that the company is fully focused on helping secure everything in what it calls the “Enterprise of Things”. “All the connected devices out there, whether they're as simple as a lightbulb, up to an automobile, need to communicate, and communicate securely, so if there's a connection, they need to be protected,” he says. This reach also extends into the IoT, he notes, with BlackBerry making several well-publicised pushes into the connected space in recent years. At CES in January, BlackBerry announced a range of feature packs, offering up selected portions of the company’s expertise in a modular fashion that allows customers to pick which aspects they need, and then build from there. So as the world around us becomes smarter and more connected, it seems that BlackBerry is in an excellent position to take advantage of the strong market position it has built. But far from going it alone, the business wants to be seen as a reliable partner that can support customers in a wide range of verticals.